AN ALIEN organism with a gigantic green tail was filmed hurtling into space, conspiracy theorists claim. The baffling footage shows a motorist pulled over next to a small road. He then turns the camera to reveal what stopped his journey – a mysterious green object in the distance. When he zooms in, he discovers it’s bright green with a long tail. It appears to hurtle into Earth’s outer atmosphere before the clip comes to an end. 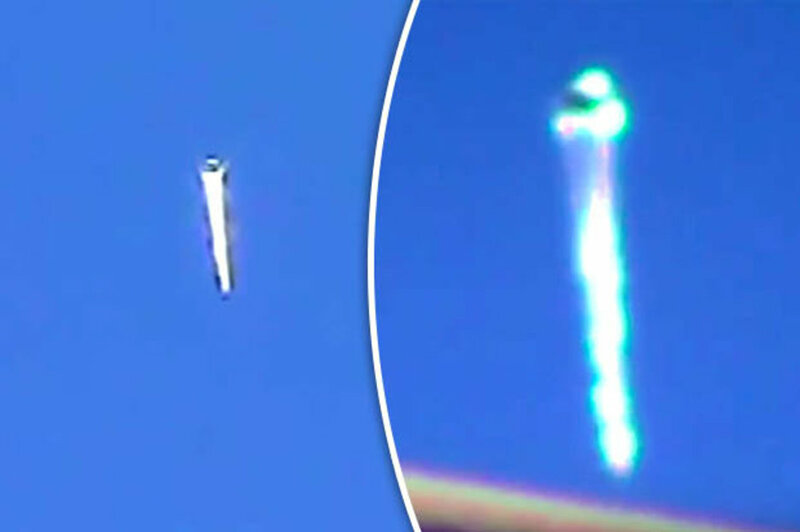 The video – uploaded by UFO fanatics thirdphaseofmoon on Thursday (July 6) – was filmed in California, US. “In the beginning, I thought you may as well dismiss it as a weather balloon sighting,” the YouTube conspiracist said. “But the closer you look at it, the weather balloons don’t act this way. The clip has been seen more than 10,000 times and users were quick to comment their views. “Weather balloon? You kidding… it’s obvious that that is some thing out of this world,” one wrote.